If you are going through a divorce or even just thinking about it, and you’re wondering how this will affect your children, I have some good news for you: Your children do not have to be damaged by your divorce. 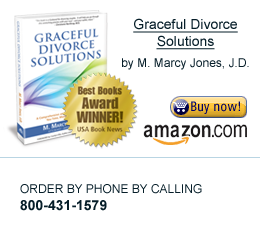 It is possible to divorce and raise healthy, well-adjusted, and balanced children. Since I haven’t been in touch with all of you in awhile, I wanted to start out by saying that life has been crazy busy lately, as I know it is for most of you. I’ve spent a lot of time thinking about what I want to write about and some goals and information I want to share with you in the coming weeks and months. We hear the phrase all the time – “in the best interests of the children” – but what does it really mean? And who gets to decide that? When a couple is divorcing and they cannot agree on the issues of custody or visitation, a judge will have to decide, and he or she will use a standard called “the best interests of the children” in making that determination.